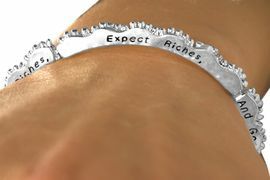 A Fervent, Or Impassioned Wish For Anyone That You Care About, Or Love! 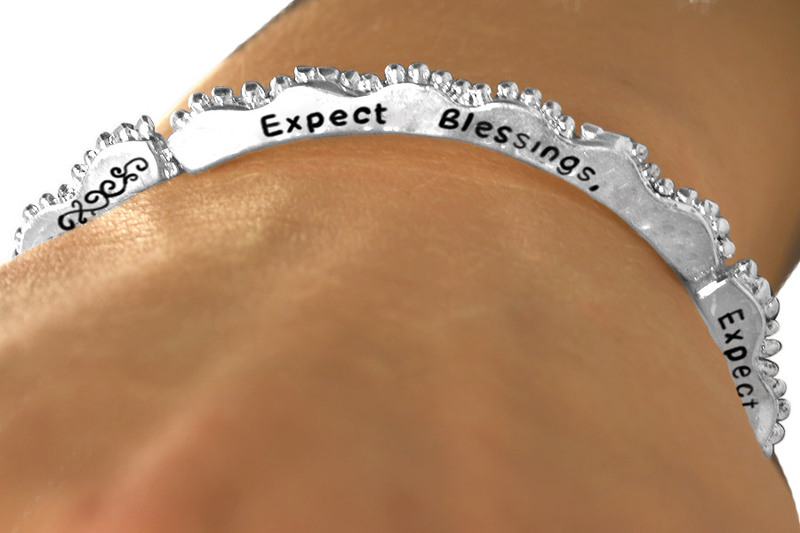 This Silver Tone "Wave" Stackable Stretch Bracelet Is Inscribed With The Phrase, "Expect Blessings, Expect Joy, Expect Riches, And Good Health." 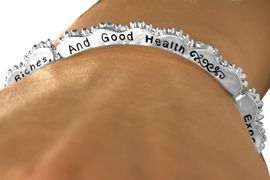 Phrase Is Printed On The Both Sides, The Top And Bottom Of The Bracelet.